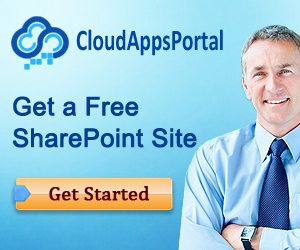 In SharePoint 2010 you can set alerts on many things, like lists, libraries, folders, document sets, items. But did you know that you can also set an alert on a view? The most important thing to know about setting an alert on a view is that the view must be configured with a filter otherwise the option will not appear in the alert settings. 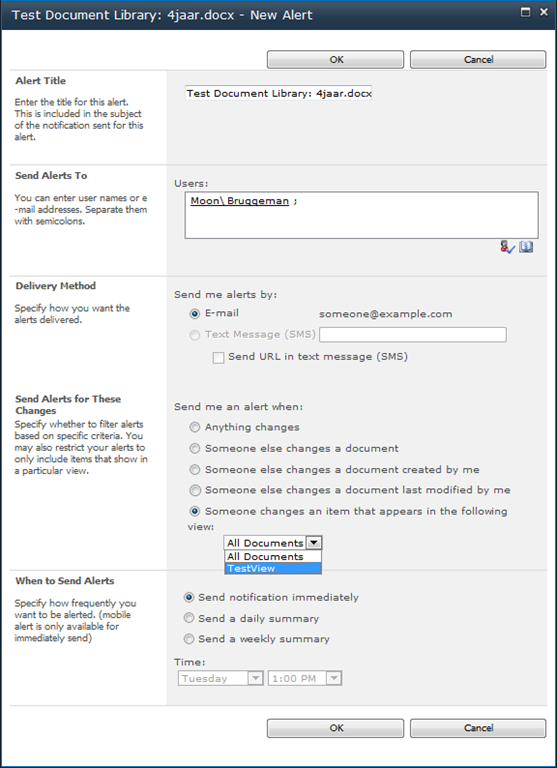 On the Alert Me page, go to the Send Alerts for These Changes section and select the Someone changes an item that appears in the following view radio button. Hi Dragons, Thanks for this great post. Although I configured my view with a filter I still do not see the option for alert on view. I wonder if I need to active any features for this? And does this apply to any type of Lists? I have a normal Calender list and configured 3 views for this using the filter option but still no luck. We believe the post points out that this applies to document libraries. You’re working with a calendar list. 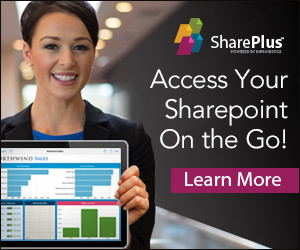 “Setting an alert on a view � SharePoint Dragons” certainly got me personally addicted on ur page! I reallywill certainly wind up being back again more normally.